(SD) 1. It is great to speak with you! Congrats on celebrating your 40th anniversary in music and entertainment. Looking back on everything that you have done, does this all feel surreal to you? Well kind of yeah, surreal would be a good way to describe it I think. You know where does the time go? It doesn’t feel like it has been 40 years, it doesn’t feel like I’m 60 or any of that so I’m just gonna’ roll with it. (Laughs) It really is surreal, it’s really nice. (SD) 2. Tell us about your plans for new music and the “iKhan Project.” What excites you the most about this new adventure? Well what excites me most is that I’m doing music that I love to do, that I like to sing. This CD is going to be really organic, with really good songs, and not a lot of overproduction. The whole theme of the CD is pretty much a wisdom based CD; it just speaks of what I’ve learned in life so far. Hopefully it will be of some assistance to somebody to give them a little information passed along, or help somebody out and make somebody feel good in the process. (SD) 3. Having got your start in Chicago, what did you learn musically speaking as a young artist performing with your sister Bonnie, and the legendary band Rufus? Well I learned a lot of things, a great many things. I wasn’t sure of anything of course at that time when I started out, in fact that wasn’t even what I was going to do for a living, I hadn’t planned to be an entertainer, I wanted to be an anthropologist. When I first started singing with the Crystallettes and the Shades of Black and that, I was still looking forward to going and assuming a scholarship at the Art Institute of Chicago. I was torn between being a sculptor, painter and anthropologist; those were what I wanted to be. As it turns out, I’m an artist, but I do get to practice some anthropological work as a world traveler so it sort of worked out for me. I get a bit of both and a whole lot more. (SD) 4. When you first ventured out on your own, what were your very first thoughts upon leaving the band? Were they supportive of your decision? No it was pretty turbulent, the breakup with Rufus because we weren’t getting along, and that was one of the main reasons I left. We were a very democratic band and we voted on everything, and me being the only chick, I was the odd man out; I always got outvoted. So, (laughs) I was tired of that! I was really in a place in my life where I wanted to pick the songs that I was singing. That’s where we were at, the guys weren’t really ready for me to go, and I didn’t really want to go but I had to go for my life you know, for the sake of the art. It took me a good two or three years to get used to being on stage solo, being a front person on my own. So yeah it was not the easiest time for me. (SD) 5. One of your very first hits as a solo artist, “I’m Every Woman,” had a huge impact on that era of music. How were you introduced to the song, and did you ever imagine it would take off like it did? Well Valerie Simpson and Nick Ashford wrote it for me, so that’s how I came by the song. They submitted it to Arif Mardin and myself. I had no idea what the song was gonna’ be, many songs I did in the 80’s especially turned out to be something that I’m still amazed that they’re still current, and that they are so meaningful. They have taken on a new meaning to me because at the time, I was a little embarrassed by “I Feel For You,” with the rapper saying my name over and over again, and I thought I would never live that down. (Laughs) The longevity of “Ain’t Nobody,” it’s a song that never dies. With “I’m Every Woman,” I was singing lyrics that were way ahead of me and not until the last ten or fifteen years did I start to see what those lyrics are saying and how relevant they were; I was representing womanhood. A lot of the stuff I was singing, I didn’t know what I was singing until now. (SD) 6. I understand Whitney Houston sang background vocals on “I’m Every Woman” at just 15 years old. Years later she recorded that very song which must have been a thrill for you. Was that how you two first met? We did meet because she sang background with me; she, Luther Vandross, and her mom sang background with me. Her mom had been singing background with me for years in the studio and her mom told me, “I have a daughter that is a good singer,” I said how old is she, and she said “Fourteen or something like that,” so I said well bring her in. I think she sang on “Roll Me Through The Rushes,” or something like that with me, and I can’t recall what other songs she sang but I think that was one of them. But yes, that was our introduction to studio work and she’s like my little sister. (SD) 7. When you reflect on the unfortunate passing of Whitney, what do the many years of friendship mean to you, and what attribute stands out the most about her legacy? We go back. She was a very wise person you know, and she was a really good girl, she was a good person, she was good. She was in a whirlwind that most artists get caught up in, with everything happening all so fast and there’s no adjustment time. She came out at a time when she was pretty much the only chick like herself, I was maybe another one. Our schedules made it so we weren’t able to really be together and see our friendship to its highest point because we were both so busy. But when we did come together, it was a meeting of the minds and she was a beautiful human being. I will miss her mouth, and her voice, the way she talked and the things she said. She had a brutal kind of honesty which I love and there aren’t many people like that around. There are a lot of people who can give it and a lot of people who can take it, and she was one of them that could. We have very similar lives you know, with self medicating and I have a lot of regrets, but you can’t feel regretful because a person’s life is a person’s life; it’s their life, any impact you have on them, you have and that’s it. That denial, that state of denial, and the battle of the will, your will, what God wants for you and what you want for you are such different things often and sometimes we just don’t get it until its too late; and that was the case with her. (SD) She can finally be at peace now. Yeah, I feel that. I do feel that way, yeah. You’re right about that because that’s the truth. There was love, a lot of love there between the two of us. (SD) 8. Being blessed with the ability to sing various genres of music, what do you believe is the key to remaining true to your roots no matter what the genre? Like you said, it is in remaining true to yourself; I don’t like listening to a lot of music at home or in the car, I really do not. If I feel like hearing music, I’ll maybe put on Miles Davis, Joni Mitchell or Charles Parker; something that moves me and also stimulates me and challenges me. I can’t listen to a playlist; you know somebody else’s playlist and commercials and that crap so I don’t listen to the radio unless I can find a good jazz station, something like that or a good country music station, otherwise I just tune into talk radio. (Laughs) I don’t really listen to music so I think that is one of the keys to keep me remaining clear as to what you’re doing and what you’re about, you know what I’m saying?... just staying true to it and not being swayed by the flavor of the month. (SD) 9. At this stage of your life, what are you learning to appreciate the most as a dignified woman? (SD) 10. Thinking about today’s current musical talent and trends, who or what has the biggest impact on you right now at this moment and why? Let me just say I can’t say a who so much as a what, I’m more often pleasantly surprised that I am disgusted (Laughs) at when I hear musical instrumentation where someone’s playing at a party or a gathering, not really a club anymore, but if I find myself in that situation where they’re playing, someone with an ear is playing good music, I’m often pleasantly surprised at what I’m hearing, I could only say that. It appears that music is on an upper trend from where I’m sitting at, it seems that like people are coming back to the sounds of instruments and incorporating lyrics that make sense and that are complete sentences that are saying something. I think it’s a story of the time of man as well, I think art definitely does reflect life and vice versa. That’s what I can really say, there are few people I really love; Rahsaan Patterson, I love him, I think he’s a really fantastic writer and an artist. (SD) 11. Having achieved countless honors, awards and accolades throughout your career, does having your own street named after you in Chicago put the icing on the cake? (SD) 12. 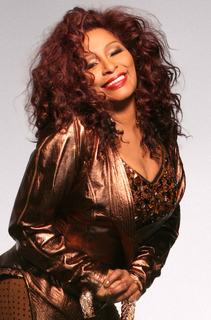 Tell us about the Chaka Khan Foundation and all its current initiatives. What compelled you to establish the foundation? In my belief system, that is why we’re here, to be of assistance to one another, and to be of service to one another. So that is just a natural thing for me to do, I’ve always been like that as far as I can remember before I became a singer. I was giving, and giving and giving of everything and not really attaching myself to anything, just giving of freely. (Laughs) That is a part of my makeup too which is a beautiful thing and I’m happy about that but it is as natural for me to sing as it is for me to be of service to somebody; those two go hand in hand. This is part of my life; it was the most natural thing for me to do in the world, especially in any way that empowers the powerless. That’s where I live. Well I’m not gonna lie and say it wasn’t hard because it was you know, when I wrote that, and I’m working on part two right now (Laughs) because a lot’s happened since I wrote that book. When I’m shopping in places like the grocery store, women come up to me and say how the book has so profoundly affected them and helped them out and let them know that they were not the only ones that were feeling that way. That made it all worthwhile, and it makes it all worthwhile for me. I’m really rather a private person and I didn’t want to do an autobiography at all but my sister convinced me that it was the best thing to do, it’s one of the highways I could be of service to people by sharing my struggles, and she’s absolutely right about that. (SD) One day, you may be able to look back on this book as a full circle healing process that you can reflect on. Yeah, exactly, because I aspire to be the best that I can be and it’s a work in progress. (SD) Congratulations on everything that you have overcome! (SD) 14. Moving forward, what do you want to accomplish next in this beautiful chapter of your life as an entertainer and a legendary music icon?!? I’d like to learn to do a back flip (Laughs), what else would I like to accomplish? (Laughs) Yeah, with gymnastics, I’d really like to get up in that, I really would!!! (Laughs) I would like to jump from an airplane and skydive; I really would like to experience that, so that’s a possibility. I think I’d like to cultivate playing instruments from the drums to the bass, you know, and maybe even learn some guitar or learn the piano so I could just write all by myself. I just would like to continue on a good path and being as helpful a person as I can be, and get some good major path of income happening here (Laughs), yeah, that’s right. I’m working on my brand right now, you know I’ve got a lot of brand work that I am doing, so I’m working on expanding that. I’ll be pimping myself for everything I want, (Laughs) before I leave this realm. (SD) Have you ever thought of incorporating yourself as a mentor to the young individuals with your foundation through your music or personal guidance? 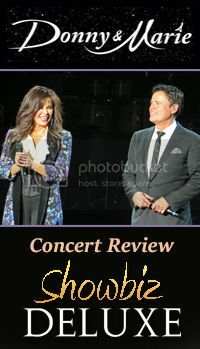 Enjoy photos from the interview with Chaka!